SWEATHOUSEandlittleprincipals (150 elements), 1977-82. Steel, dimensions variable. Installation view, Contemporary Arts Forum, Santa Barbara, CA, 1982. 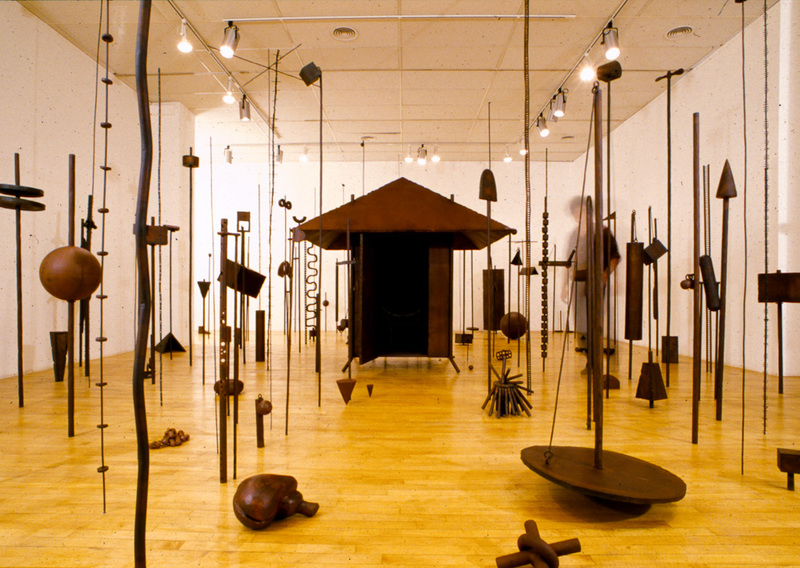 Also exhibted: Wight Gallery, University of California, Los Angeles, CA (111 elements version), 1979.